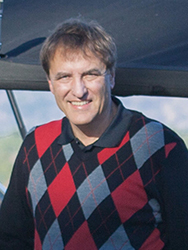 John is licensed and qualified to conduct real estate transactions in both North Carolina and South Carolina and specializes in Luxury Golf and Mountain Lake properties. He is a property owner in The Cliffs Communities ® which consist of seven of the most elite golf and mountain lake communities in the Southeast. These include: (1) The Cliffs at Walnut Cove; (2) The Cliffs Valley; (3) The Cliffs at Glassy; (4) The Cliffs at Mountain Park; (5) The Cliffs at Keowee Vineyards; (6) The Cliffs at Keowee Falls; and (7) The Cliffs at Keowee Springs. Prior to getting into real estate in 2005, and moving with his wife to the Carolinas, John’s career included financial executive positions with American Airlines ® and Marriott ® corporations. This meant a lot of traveling and living in various locations including Boston, New York, Chicago, Dallas, and Atlanta. While in Chicago, John became an out-of- state “Preferred Broker” for the Cliffs Communities ® which included conducting joint sales presentations to northern clients with Cliffs Communities ® personnel. John’s education includes college business degrees in Hospitality Business (BA-Michigan State University) and Finance (BBA-Eastern Michigan University), Graduate MBA Studies (Kennesaw State University), and Graduate MRE Studies (REALTOR ® University). His Masters Degree in Real Estate (MRE) is unique to the industry. He is one of three individuals in the Carolinas to hold this graduate school credential which focuses on property marketing and financial returns for clients. John is a member of Rotary International®. He enjoys working on charity fundraisers. In fact, he makes frequent trips north to attend Rotary and church fundraisers where he promotes the Carolina lifestyle and listed properties to his northern clientele. He donates discovery packages for their “live auction” charity events, and personally attends those events to maximize the marketing impact. John’s interests include golf, tennis, boating, and college sports. He also has fun with his nickname “Clark Kent,” and is known to many as SuperRealEstateMan!